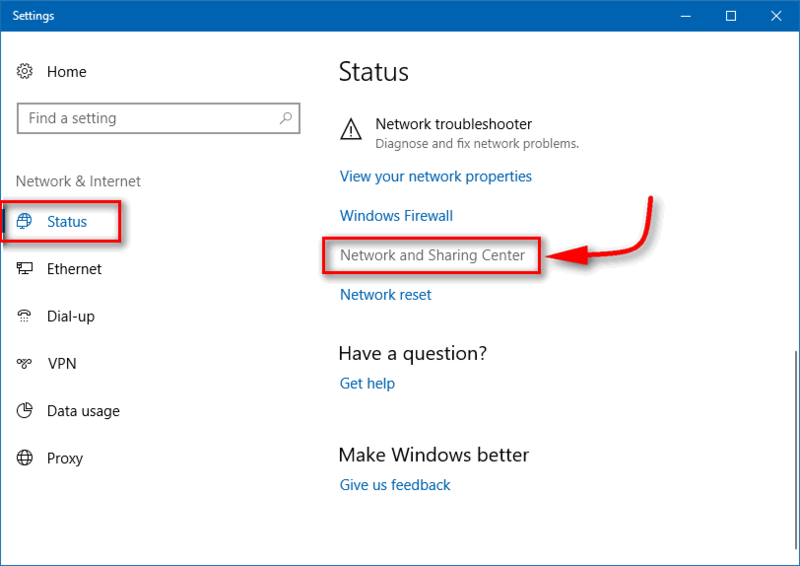 Where is Network and Sharing Center in Windows 10 Fall Creators Update (version 1709)? Has it disappeared? Actually, not yet. The thing is Microsoft gradually moves the applets from the Control Panel to a new Settings app. Now when you right-click the network icon the Taskbar you don’t see familiar “Open Network and sharing center” any more. You see “Open Network and Internet settings”. Windows 10 is like a living organism that is constantly changing and evolving. That’s why we have to modify our tutorials related to this OS because after each update there are many things that won’t work any more. 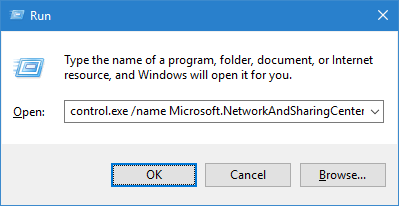 In this post we will explain how to find and open Network and Sharing Center in Windows 10 of the latest version and create a shortcut on the desktop. By the way, there is a high probability that this guide won’t help after the next Windows 10 update. To find your familiar applet you need to perform the following steps. Right-click the network icon in the Taskbar. If you are unable to use method 2 for some reason, you can open the applet using the command line or a bat-file.